This Software License Agreement (“Agreement”) is entered into between IAdea Corporation (which, for purposes of this Agreement, shall be deemed to include any majority owned subsidiary of IAdea Corporation) (“IAdea”), and the purchaser, licensee or user (“Licensee”) of IAdea Software (as defined below). The terms of this Agreement also apply to any IAdea Software Updates, and/or Software Maintenance (as each term is defined below) for the IAdea software, unless other terms accompany those items. If so, those terms apply. READ THIS LICENSE CAREFULLY. BY OPENING THE IADEA SOFTWARE PRODUCT PACKAGING AND/OR USING THE IADEA SOFTWARE, LICENSEE AGREES TO BE BOUND BY THE TERMS AND CONDITIONS OF THIS AGREEMENT. If Licensee does not agree to the terms of this Agreement prior to opening the IAdea Software packaging or installing the IAdea Software, Licensee shall cease using (or refrain from commencing use of) the IAdea Software, and shall, as applicable, uninstall and/or permanently delete the IAdea Software, Documentation (and any copies thereof) from the computers or computer system(s) on which the IAdea Software has been loaded or stored, and return the IAdea Software and Documentation, all media on which it is stored, all product packaging, and proof of payment to the IAdea Partner (as defined below) pursuant to such IAdea Partner’s return policy. If Licensee does not agree to the terms of this Agreement, and has acquired the IAdea Software as part of a pre-configured computer system on which the IAdea Software has been installed, Licensee must either promptly cease using the IAdea Software, uninstall and/or permanently delete the IAdea Software and Documentation (and any copies thereof) from the computer system(s) on which the IAdea Software has been preloaded, or return the pre-configured system pursuant to the system vendor’s return policy. 1.1. “Commencement Date” means the ship date of the IAdea Software from IAdea or a IAdea Partner to the Licensee. 1.2. “Documentation” means the user guides, tutorials, printed instructions, reference manuals, and other explanatory materials developed by IAdea that accompany or are stored on or in the IAdea Software for use in connection with the IAdea Software. 1.3. “End User” means, as applicable, Licensee or any person or entity (including, for the avoidance of doubt, any employee or agent of Licensee) that uses the IAdea Software. 1.4. “Object Code” means the form of IAdea Software wherein computer programs are assembled or compiled in magnetic or electronic binary form on software media, which are readable and usable by machines, but not generally readable by humans without reverse-assembly, reverse-compiling, or reverse-engineering. 1.5. “Software Maintenance” means the provision of Software Updates. 1.6. “IAdea Partner” means any IAdea Certified Partner, reseller or distributor of IAdea that sold or licensed the IAdea Software to Licensee. 1.7. “IAdea Software” means, as applicable, the Object Code form of IAdeaCare or such other IAdea software products as may be identified in a purchase order from IAdea or an IAdea Partner, and shall be deemed to include the Documentation for such IAdea Software, the license keys, clip art, fonts and multimedia files included in such IAdea Software, their related software options, software extensions, software upgrades and Software Updates, and Third Party Software integrated into such identified products. 1.8. “Software Updates” means bug fixes, documentation improvements and feature additions, including all major (i.e., numbered) and minor (i.e., point) releases, when and if made available by IAdea. 1.9. “Third Party Software” means software, referred to as redistributable code that is licensed to IAdea by third party licensors for redistribution with the IAdea Software. The redistributable code is the property of IAdea’s licensors, and protected under international copyright, trade secret or other proprietary rights laws, and international treaties. 2. GRANT OF LICENSE RIGHTS. 2.1 License. Subject to the terms, restrictions and limitations set forth herein, IAdea hereby grants to Licensee a non-exclusive, non-transferable, non-sublicensable license to use (and to permit its End Users to use) the Object Code version of the IAdea Software, including any Third Party Software included therein or therewith, along with any graphical, textual, pictorial, audio or visual works or materials incorporated into or delivered with the IAdea Software, including the Documentation. 2.2 Term. This Agreement is effective as of the date at which Licensee accepts the license terms as set forth above, and will continue unless terminated as provided in Sections 7.3 or 8. Internal Use. Licensee may use the IAdea Software and Documentation only for its own internal use and only on one, single-user computer. Licensee may internally transfer the IAdea Software to a different, single-user computer (a “Transferred Installation”), provided that the IAdea Software and any copies thereof are permanently uninstalled and/or deleted from the computer from which the IAdea Software is transferred. Copies. Licensee may make one (1) copy of the IAdea Software and one (1) copy of the related Documentation for archival or back-up purposes, only. Third Party Software. The license granted hereunder includes the right of Licensee to use the Third Party Software in Object Code form, solely in connection with the authorized operation and use of the IAdea Software in conformance with the terms and conditions of this Agreement. For the avoidance of doubt, Licensee may not decouple, disassemble or otherwise separate the Third Party Software from the IAdea Software or use the Third Party Software except in connection with the use and operation of the IAdea Software as permitted hereunder. Restrictions. The IAdea Software is licensed, not sold. This Agreement only gives you some rights to use the IAdea Software. IAdea reserves all other rights. Unless and solely to the extent otherwise permitted under applicable law, you may use the IAdea Software only as expressly permitted in this Agreement. Except as expressly permitted under applicable law, or as otherwise agreed to in writing by IAdea, Licensee shall not, and shall not permit any End User to: (i) work around any technical limitations in the IAdea Software; (ii) publish the IAdea Software for others to copy; (iii) make more copies of the IAdea Software than authorized under this Agreement ; (iv) sell, lease, rent, redistribute, assign, sublicense, or transfer the IAdea Software and/or Third Party Software; (v) reproduce, decompile, reverse engineer or disassemble the IAdea Software and/or Third Party Software; (vi) offer the use of the IAdea Software to third parties as an application service provider, service bureau or remote-hosted service; or (vii) deliver, export, transfer or otherwise distribute the IAdea Software acquired hereunder to, or use the IAdea Software acquired hereunder in, a country other than the country in which the IAdea Software was purchased (including, for the avoidance of doubt, in connection with a Transferred Installation). 3. LICENSE AND OTHER FEES. Licensee agrees to be bound by and pay the license fee(s) set forth in the IAdea Software price list in effect as of the date of purchase. License fees for IAdea Software and maintenance fees for Software Maintenance may be updated and changed at any time. 3.1 Software Maintenance Coverage. Where Software Maintenance is offered upon separate purchase terms from the IAdea Software, the IAdea Software products are sold with one (1) year (the “Initial Maintenance Term”) of Software Maintenance coverage included in the price of the product. During the Initial Maintenance Term, Licensee shall be entitled to Software Updates if and when made available by IAdea. All use of IAdea Software provided pursuant to Software Maintenance coverage shall be subject to the terms of this Agreement. Licensee may elect to continue Software Maintenance beyond the Initial Maintenance Term, subject to availability, upon payment to IAdea (or, as applicable, an IAdea Partner) of the IAdea annual maintenance fee in effect at the time of renewal. 3.2 Taxes and Duties. Prices to Licensee do not include taxes, duties, tariffs, handling fees, or other such assessments of any nature. Whenever imposed, such assessments are payable by Licensee. Income or other taxes that are required to be paid or withheld by Licensee or IAdea in connection with the license and other fees paid by Licensee hereunder, are the sole obligation of Licensee and shall be exclusive of the license and other fees paid by Licensee. 3.3 Other Services. Licensee acknowledges that any additional services offered by IAdea, such as installation, customization or professional services, are not provided under this Agreement, and any such services to be provided by IAdea (or, as applicable, an IAdea Partner) shall be subject to the mutual agreement of the parties, the terms and conditions for which shall be set forth in a separate agreement. 4. CONFIDENTIAL INFORMATION, TITLE AND COPYRIGHTS. 4.1 Licensee acknowledges that the IAdea Software, Documentation, Software Updates, enhancements, modifications, additions, new releases of or to the IAdea Software contain confidential information of, are trade secrets of, and are proprietary to IAdea and its licensors and that title to such materials is and shall remain in IAdea and its licensors, as the case may be. Licensee shall maintain in strict confidence the IAdea confidential information, but, at a minimum, to take those precautions that it utilizes to protect its own confidential information. Licensee shall have no obligation of confidentiality with respect to information that (i) at the time of disclosure is in or becomes available to the public through no breach of this Agreement on the part of the Licensee; (ii) was lawfully in Licensee’s possession prior to receipt from IAdea; (iii) is received independently from a third party free to lawfully disclose such confidential information to Licensee and who does not owe an obligation to IAdea with respect to confidential information; (iv) Licensee independently develops without the benefit of any confidential information disclosed hereunder or (v) is required to be disclosed by a government agency; provided that the Licensee will use best efforts to minimize such disclosure and will notify IAdea promptly of any such demand, order or judgment in order to permit IAdea to seek an appropriate protective order. 4.2 All applicable rights to patents, copyrights, trademarks and trade secrets in the IAdea Software and other proprietary materials are and shall remain in IAdea and its licensors. Licensee shall not assert any right, title or interest in the IAdea Software or other materials provided to Licensee under this Agreement, except for the limited license rights expressly granted to Licensee hereunder. 4.3 Licensee shall not obscure or remove any copyright or other proprietary notice or legend contained on or included in the IAdea Software and shall reproduce all such information on all copies made hereunder. Licensee shall not, directly or indirectly, disclose or distribute any technical information of IAdea provided with or in the IAdea Software without the prior written consent of IAdea, which consent may be withheld at IAdea’s sole discretion. 5.1 Media and Documentation. IAdea warrants that if the media or Documentation is in a damaged or physically defective condition at the time the IAdea Software is delivered to Licensee, and if such media or Documentation is returned to IAdea within thirty (30) days of the effective date of this Agreement, IAdea will provide Licensee with a replacement at no charge. 5.2 Software Limited Warranty and Remedy. Provided that Licensee is not in breach of any of its obligations under this Agreement, and in addition to the warranty set forth in Section 5.1, IAdea warrants for a period of thirty (30) days from the Commencement Date (“Warranty Period”), that the software will substantially conform to the Documentation provided by IAdea with the IAdea Software. Licensee’s sole remedy and IAdea’s and IAdea Partner’s sole obligation under this Agreement for breach of this warranty is, at IAdea’s sole option, (i) the remedy of the nonconformity or (ii) the authorization of a refund for the price paid for the media and or IAdea Software by IAdea or the IAdea Partner from which the IAdea Software was originally obtained. Any request for the above remedies must be made within the Warranty Period and proof of purchase (i.e., copy of the invoice or receipt) is required to be presented to IAdea. In the event of a refund, this Agreement will immediately terminate without further notice, and Licensee will have no further rights or license to use IAdea Software or Documentation. Any replacement software or media will be warranted for the remainder of the original Warranty Period or for an additional thirty (30) days whichever is longer. This limited warranty is void if nonconformance of the IAdea Software results from or is related to the (i) improper installation or operation of the IAdea Software by or on behalf of the Licensee, (ii) failure of Licensee’s hardware or non-IAdea software, (iii) incompatibility of such hardware and non-IAdea software systems with IAdea Software, (iv) alteration, modification or unauthorized integration of IAdea Software by or on behalf of Licensee, or (v) accident, abuse or misapplication of IAdea Software. If the IAdea Software is provided as a trial or evaluation version, the grant of the license to use the Software shall be on an “AS IS” basis and subject to the express limitations of the trial. Unless Licensee shall have entered into a separate written license agreement prior to the expiration or termination of the trial period, Licensee agrees to cease all use of the IAdea Software provided on a trial or evaluation basis and to return such IAdea Software, or to return any license keys and destroy or permanently delete any and all copies of such IAdea Software. 5.3 Disclaimer of Warranties. IADEA AND ITS LICENSORS MAKE NO WARRANTY, REPRESENTATION OR PROMISE EXCEPT AS SPECIFICALLY SET FORTH IN THIS AGREEMENT. TO THE FULLEST EXTENT PERMITTED BY LAW, IADEA AND ITS LICENSORS DISCLAIM AND EXCLUDE ANY AND ALL OTHER WARRANTIES, INCLUDING WITHOUT LIMITATION ANY IMPLIED WARRANTIES OF MERCHANTABILITY, FITNESS FOR A PARTICULAR PURPOSE, OR RESULTS. IADEA AND ITS LICENSORS DO NOT WARRANT THAT THE IADEA SOFTWARE OR DOCUMENTATION WILL SATISFY LICENSEE’S REQUIREMENTS; THAT THE IADEA SOFTWARE AND DOCUMENTATION ARE WITHOUT DEFECT OR ERROR; OR THAT THE OPERATION OF THE IADEA SOFTWARE WILL BE UNINTERRUPTED. TO THE MAXIMUM EXTENT PERMITTED UNDER THE LAW, THE UN CONVENTION FOR THE SALE OF GOODS AND THE UNIFORM COMMERCIAL CODE DO NOT APPLY TO THIS LICENSE AGREEMENT. 6.1 IN NO EVENT SHALL IADEA OR ITS LICENSORS BE LIABLE FOR ANY SPECIAL, INCIDENTAL, INDIRECT, PUNITIVE OR CONSEQUENTIAL DAMAGES WHATSOEVER (INCLUDING, WITHOUT LIMITATION, DAMAGES FOR LOSS OF BUSINESS PROFITS, BUSINESS INTERRUPTION, LOSS OF BUSINESS INFORMATION, OR ANY OTHER PECUNIARY LOSS) REGARDLESS OF WHETHER IADEA HAS BEEN ADVISED OF THE POSSIBILITY OF SUCH DAMAGES. TO THE MAXIMUM EXTENT PERMITTED BY LAW, IADEA’S AGGREGATE LIABILITY ARISING FROM OR RELATING TO THIS LICENSE OR THE IADEA SOFTWARE AND DOCUMENTATION IS LIMITED TO THE AMOUNT ACTUALLY PAID FOR THE LICENSE. SOME JURISDICTIONS DO NOT ALLOW THE EXCLUSION OR LIMITATION OF INCIDENTAL OR CONSEQUENTIAL DAMAGES, SO THE ABOVE LIMITATION OR EXCLUSION MAY NOT APPLY. 7.1 IAdea’s Obligation. Subject to the Licensee indemnification set forth at Section 7.2 and the restrictions and limitations set forth herein, IAdea shall indemnify and hold harmless Licensee, its officers, directors and employees from and against any costs or demands awarded against Licensee by a court of competent jurisdiction pursuant to a final judgment as a result of a claim or action by a third party against Licensee that the IAdea Software or Documentation infringes a registered copyright, trademark, valid patent or other intellectual property right of a third party in North America, European Economic Area or Japan. The foregoing indemnity is conditioned on Licensee (i) promptly notifying IAdea of such claim; (ii) permitting IAdea to control the response thereto and the defense thereof, including any agreement relating to the settlement thereof, and (iii) assisting and cooperating with IAdea, at IAdea’s expense, in the defense or settlement thereof. Licensee may participate, at its own expense, in such defense directly or through counsel of its choice on a monitoring, non-controlling basis. IAdea shall obtain Licensee’s prior written consent to any compromise or settlement of any claim which would require an admission of liability on the part of Licensee or which would subject Licensee to any injunction or other equitable relief. 7.2 IAdea shall have no obligation under Section 7.1, and otherwise will have no liability for, any claim of infringement caused or alleged to be caused by: (i) the use or combination of the IAdea Software with non-IAdea software, hardware, data, or content, including but not limited to software, hardware, data, or content of Licensee; (ii) infringement that would have been avoided without the use or combination of the IAdea Software with other non-IAdea software, hardware, content, or data; (iii) the presence of any alteration or modification of the IAdea Software by Licensee or any third party acting on Licensee's behalf; or (iv) the Licensee's continuing the allegedly infringing activity after being notified thereof or after being informed and provided with modifications that would have avoided the alleged infringement. 7.4 The foregoing Sections 7.1-7.3 set forth the exclusive remedy and entire liability and obligation of IAdea with respect to third party claims against Licensee alleging intellectual property infringement or misappropriation. 7.5 Licensee Obligation. Except for the infringement claims set forth in Section 7.1, Licensee shall indemnify, defend and hold IAdea, its directors, officers, agents and employees harmless from any claims, demands, or causes of action whatsoever by a third party against IAdea arising as a result of Licensee’s use or operation of the IAdea Software. For the avoidance of doubt, and without limiting the scope of the immediately preceding sentence, Licensee shall indemnify, defend and hold IAdea, its directors, officers, agents and employees harmless from any third party claims, demands, or causes of action whatsoever arising from or related to the display, broadcast, reproduction, performance or other use or distribution of audio, visual, graphical and textual information developed by or on behalf of Licensee and not included in the IAdea Software. 8.1 By Licensee. Licensee may terminate this Agreement at any time without notice to IAdea. The license fee is not refundable and IAdea will have no obligation to refund any amounts paid by Licensee under this Agreement upon its termination (except for any right of refund as set forth in Sections 5 and 7.3). 8.2 By IAdea. IAdea may terminate this Agreement and all licenses granted hereunder upon thirty (30) days prior written notice if Licensee fails to comply with any of the terms and conditions of this Agreement or any Schedule to this Agreement, and such noncompliance is not cured within such thirty (30) day period. 8.3 Return of Software. Upon any termination of this Agreement, Licensee must cease all use of the IAdea Software, and return to IAdea all copies of the IAdea Software, including license keys, together with the Documentation, or shall return all license keys and certify to IAdea’s reasonable satisfaction the destruction or permanent deletion of all copies of the IAdea Software and Documentation from its computer systems. 9.1 Audit Rights. IAdea shall have the right reasonably to audit the deployment and use of the IAdea Software by Licensee, including without limitation Licensee’s conformance with the provisions of Section 3 herein. Licensee agrees to cooperate with IAdea’s reasonable request for access to Licensee’s computer systems to ensure Licensee’s adherence with the license terms hereunder. 9.2 Notices. Any notice required or permitted to be given by Licensee hereunder shall be in writing and shall be deemed to have been duly given (i) upon hand delivery, (ii) on the third day following delivery to the postal service as certified mail, return receipt requested and postage prepaid, or (iii) on the first day following delivery to a recognized overnight courier service, fee prepaid and return receipt or other confirmation of delivery requested. Any such notice shall be delivered or sent to IAdea at the address as set forth below, or to such other address as IAdea may designate from time to time. 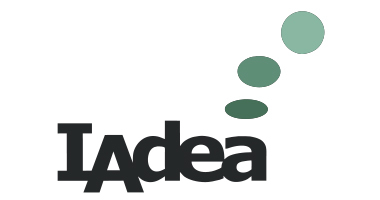 IAdea Corporation, 3F No. 33, Lane 77, Xing-ai Road, Taipei, Taiwan ROC 114. 9.3 Governing Law. The law of the country of the majority-owned IAdea subsidiary that sold the IAdea Software to you governs the interpretation of this agreement and applies to claims for breach of it, regardless of such country’s conflicts of law provisions. 9.4 Legal Effect. This Agreement describes certain legal rights. You may have other rights under the laws of your state or country. You may also have rights with respect to the party from whom you acquired the IAdea Software. This Agreement does not change your rights under the laws of your state or country if the laws of your state or country do not permit it to do so. 9.5 Assignment. Neither party may assign any rights, duties, obligations or privileges under this Agreement without the prior written consent of the other party. A change of control or ownership shall not be deemed to be an assignment under this Section so long as the new owner has expressly assumed in writing all of the duties and obligations of the assignor and further provided, that Licensee shall remain liable and responsible to IAdea (and its licensors) for the performance and observance of all such duties and obligations. 9.6 Severability. Should any part or provision of this Agreement be held unenforceable or in conflict with the law of any jurisdiction, the validity of the remaining parts or provisions shall not be affected by such holding. 9.7 Limitation on Effect of Waiver. Failure on the part of IAdea to exercise, or IAdea’s delay in exercising, any of IAdea’s rights hereunder shall not be construed as a waiver or waiver of other breaches of this Agreement. Any single or partial exercise by a party of any right shall not preclude any other or future exercise thereof or the exercise of any other right in the Agreement. 9.8 Entire Agreement. This Agreement contains the entire understanding of the parties with respect to the transactions contemplated and supersedes any prior agreements or understandings among the parties with respect to the subject matter hereof. This Agreement may be amended only by a writing that refers to this Agreement and is signed by both parties. 9.9 Construction. The headings in this Agreement are for convenience of the parties only. They do not constitute a portion of this Agreement and shall not be used in interpreting the construction of this Agreement. 9.10 Third Party Beneficiary. Licensee hereby agrees that the licensors of Third Party Software shall be considered third party beneficiaries of this Agreement and shall be entitled to bring a direct action against Licensee in the event of breach of any applicable provisions of this Agreement, pursuant to the terms and conditions of this Agreement. 9.11 Force Majeure. Neither party shall be in default if failure to perform any obligation hereunder is caused solely by unforeseen supervening conditions beyond that party’s reasonable control, which could not have been prevented by the non-performing party’s reasonable precautions, commercially accepted processes or substitute services, including acts of God, civil disturbances, strikes and labor disputes. 9.12 Negation of Agency and Similar Relationships. Nothing contained in this Agreement shall be deemed to create an agency, joint venture or partnership relationship. Why does my device not get a pairing code or always shows offline on IAdeaCare website? What network ports have to open for IAdeaCare?